The market for breast milk is growing, but some people are worried about what that means for poor women. Breast milk is becoming a bona-fide industry, according to the New York Times. There’s been an informal market for years (apparently you really can buy anything on Craigslist) as well as non-profit milk banks where lactating mothers can donate their excess milk to babies who need it. And now, Big Business is wading into the protein-rich waters. The Times reports that Prolacta Bioscience, a company that concentrates breast milk into nutritional products for premature infants, has received $46 million in investments and is growing at a rate of 40% per year. 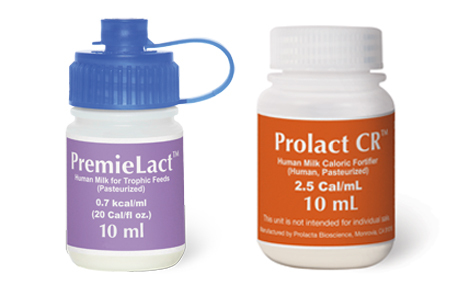 Last year Prolacta processed 18,750 gallons of mothers’ milk; other companies like Medolac Laboratories and Evolve Biosystems also buy the stuff to turn into a variety of medical products for babies and adults. Some people are worried about the possible consequences of commoditizing breast milk. “What does it mean if low income women would rather pump to sell than breastfeed their own children? Are companies already targeting poor women and women of color?,” asks one Guardian commentator. Could this turn into another way that women in developing countries are exploited, like paid surrogacy in India? On the other hand, isn’t it up to individual women to do whatever they want with their bodies—including their milk? After the show it’s the after party. Kourtney Kardashian Instagrammed herself with breast pumps two days ago. The subject of human dairy always seems to elicit strong emotional reactions. There are endless debates over whether to breast feed and for how long, and where it’s appropriate to do so. Time magazine’s 2012 cover of a mother breast feeding a three-year-old sparked major social media backlash, and comment and controversy still surround chefs that serve breast milk products to customers (for instance, in the form of cheese or ice cream). Regardless of where you stand, the consequences of placing a dollar amount on breast milk raises some serious issues.